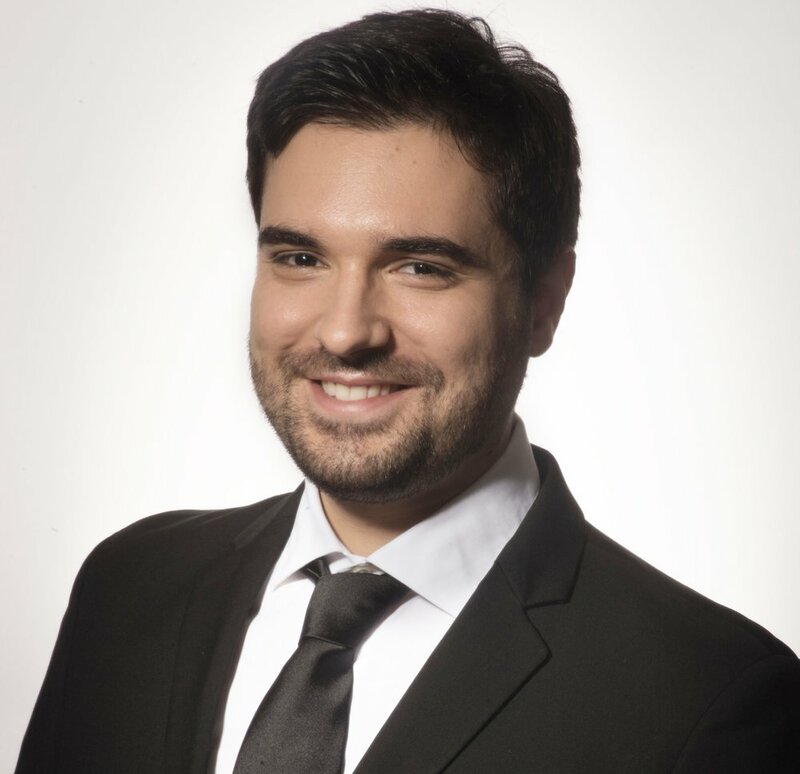 Carlo began his vocal training as a countertenor with William Matteuzzi and Sonia Prina in 2007. He studied at the Frescobaldi Conservatory in Ferrara and at the University of Bologna and made his professional stage debut in 2012 as the Sorceress (Dido and Aeneas) in Cesena and Ravenna. Highlights of his career since then have included Licida in Mysliveček’s L’Olimpiade in Bologna, the title role in Handel’s Tamerlanounder Alexis Kossenko in Poznań, Tolomeo (Giulio Cesare) with Opera Fuoco under David Stern in Shanghai, a world tour as a member of William Christie’s academy Le Jardin des Voix, the world premiere of Adriano Guarnieri’s video opera L’amor che move il sole e l’altre stelle at the 2015 Ravenna Festival, Febo in Caldara’s Dafnein Venice, Dido and Aeneasat the Teatro Regio in Turin, Ottone in Handel’s Agrippinain Brisbane – an interpretation for which he won a Helpmann Award –, Arvo Pärt’s Stabat mater at the MITO Festival in Turin and Milan, a European tour of Messiah under Christie and Human Frailty (Il ritorno d’Ulisse in patria) and Ottone (L’incoronazione di Poppea) as part of John Eliot Gardiner’s Monteverdi 450 project, which was seen at the 2017 Salzburg Festival as well as in Berlin, Edinburgh, Lucerne, Paris, Venice, Chicago and New York. Also in 2017 he toured Europe with Monteverdi’s Selva moralewith Les Arts Florissants under Christie and sang Idaspe in Cavalli’s Erismena under Leonardo García Alarcón at the Festival d’Aix-en-Provence, with later performances in Versailles and, in 2018, in Saint-Denis, and the Sorceress (Dido and Aeneas) under Christie on a tour of the United States. In the spring of 2018 he was heard as Ruggiero in Vivaldi’s Orlando furioso under Diego Fasolis in Venice and appeared in Jephtha in Hanover, in Israel in Egypt with the Accademia Bizantina in Oslo and in the St John Passion under Enrico Onofri in Lisbon. In summer 2018 he returns to Salzburg for a new production of L'incoronazione di Poppea, always as Ottone, this time with William Christie and staged by Jan Lauwers. Plans for 2019 include Ulisse in Sacrati’s La finta pazza in Dijon, Orfeo (Orfeo ed Euridice) at the Rome Opera with Gianluca Capuano and Robert Carsen and a European tour as Athamas in Handel’s Semele under Gardiner. Carlo works regularly with early-music ensembles such as the Accademia Bizantina, Les Ambassadeurs, Concerto Italiano, Les Musiciens du Louvre and Il Pomo d’Oro and has taken part in numerous CD recordings. His first solo album, Arias for Nicolino, with I Talenti Vulcanici under Stefano Demicheli was released in 2017. Carlo will perform the role of Artabano for our 2018 production of Hasse's Artaserse.